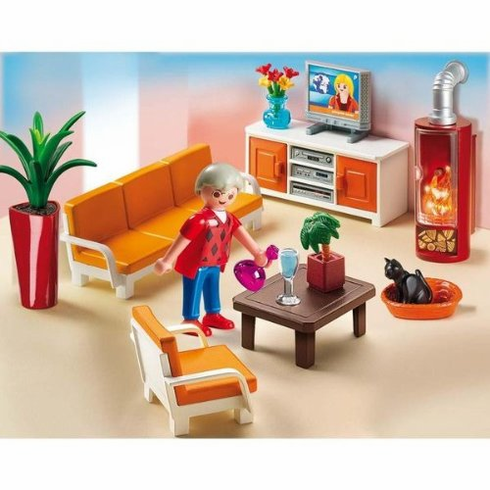 With its couch, coffee table, television with stand, and fireplace that lights up, the Comfortable Living Room is a great space for the Playmobil family to relax. The set also includes a figure, kitten, and other accessories. Play with this set alone or use it to furnish the Playmobil Large Grand Mansion (#5302). Recommended for ages four to ten.